Baked not fried, these amazing Onion Rings won’t bring tears to your eyes, but will make your mouth water with pure delight. I have to admit growing up one of my favorite things to eat at the fair was Onion Rings. They were always so warm and gooey on the inside, and crunchy on the outside. 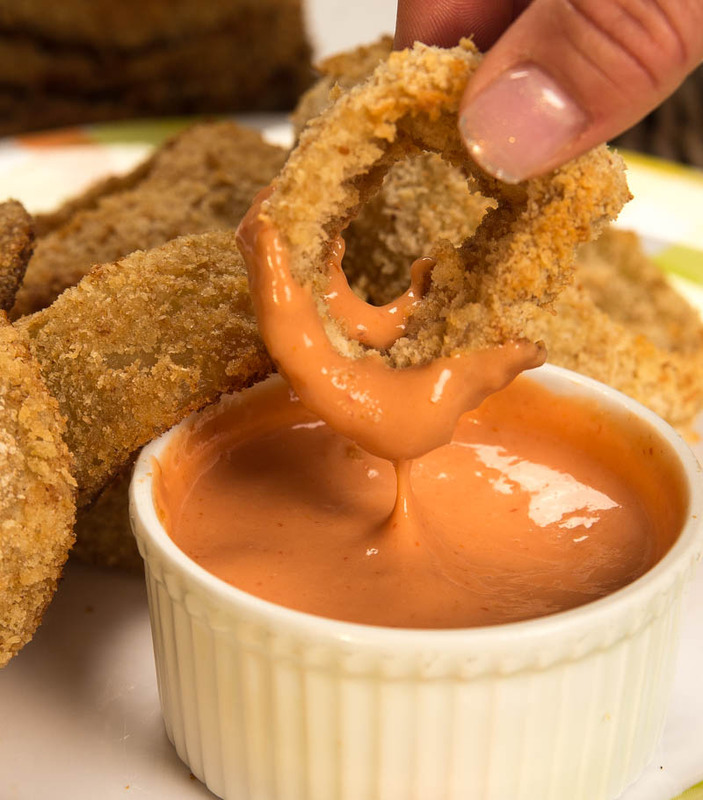 Dipping them in ketchup was like frosting on the cake, making the Onion Ring irresistible. There is just something about the smell of Onion Rings that immediately makes your mouth water. I have to say these Oven Baked Onion Rings did just that. Oven Baked Onion Rings are so simple to make, they can be done in 3 easy steps, shake, dunk, and dip. 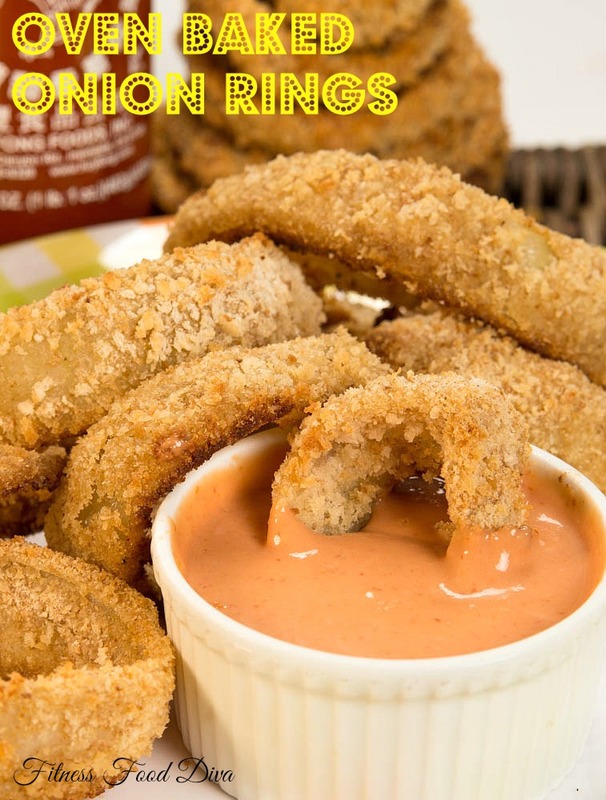 Shake, dip, and dunk your way to the perfect fit-fabulous onion rings. Line a baking sheet with foil and spray HEAVILY with cooking spray. In a bowl whisk together egg whites and milk, set aside. Place bread crumbs and panko crumbs together in a separte bowl. In a ziplock back combine; flour, garlic powder, cayenne pepper, salt, and pepper, seal and shake ingredients up to mix. Open bag and add the onion rings, a few at a time and shake to coat. Take onion rings out one at a time and dip in the milk/egg white wash, making sure to coat all sides. Dunk the onion rings into the bread crumbs, coating all sides, then place in a single layer on the prepared baking sheet. Spray the onion rings HEAVILY with cooking spray. Bake for 15-20 minutes depending on crispy you want them. combine vegenaise, ketchup and sriracha in a bowl and mix well, chill until ready to serve. Enjoy! Do you have to go heavy on the cooking spray and can you use something else?